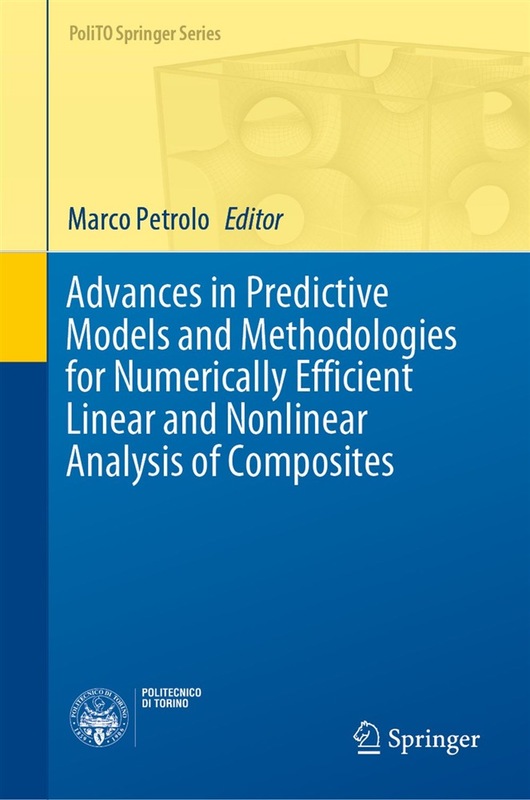 This book gathers contributions addressing issues related to the analysis of composite structures, whose most relevant common thread is augmented numerical efficiency, which is more accurate for given computational costs than existing methods and methodologies. It first presents structural theories to deal with the anisotropy of composites and to embed multifield and nonlinear effects to extend design capabilities and provide methods of augmenting the fidelity of structural theories and lowering computational costs, including the finite element method. The second part of the book focuses on damage analysis; the multiscale and multicomponent nature of composites leads to extremely complex failure mechanisms, and predictive tools require physics-based models to reduce the need for fitting and tuning based on costly and lengthy experiments, and to lower computational costs; furthermore the correct monitoring of in-service damage is decisive in the context of damage tolerance. The third part then presents recent advances in embedding characterization and manufacturing effects in virtual testing. The book summarizes the outcomes of the FULLCOMP (FULLy integrated analysis, design, manufacturing, and health-monitoring of COMPosite structures) research project. Acquista Advances in Predictive Models and Methodologies for Numerically Efficient Linear and Nonlinear Analysis of Composites in Epub: dopo aver letto l’ebook Advances in Predictive Models and Methodologies for Numerically Efficient Linear and Nonlinear Analysis of Composites di ti invitiamo a lasciarci una Recensione qui sotto: sarà utile agli utenti che non abbiano ancora letto questo libro e che vogliano avere delle opinioni altrui. L’opinione su di un libro è molto soggettiva e per questo leggere eventuali recensioni negative non ci dovrà frenare dall’acquisto, anzi dovrà spingerci ad acquistare il libro in fretta per poter dire la nostra ed eventualmente smentire quanto commentato da altri, contribuendo ad arricchire più possibile i commenti e dare sempre più spunti di confronto al pubblico online.